another. In a woodshop, these things might be the edge of a board, the shoulder of a tenon, the fence on a jointer and so on. However, square is an abstract term. two large blades that form a right angle. One blade is 2in wide by 24in long; the other is 1 ½ in by 18in long. Framing squares are not expected to be precise as try squares or engineer’s squares. squares can vary sharply, even among those made by the same manufacturer. be used interchangeably with try squares in a woodshop. 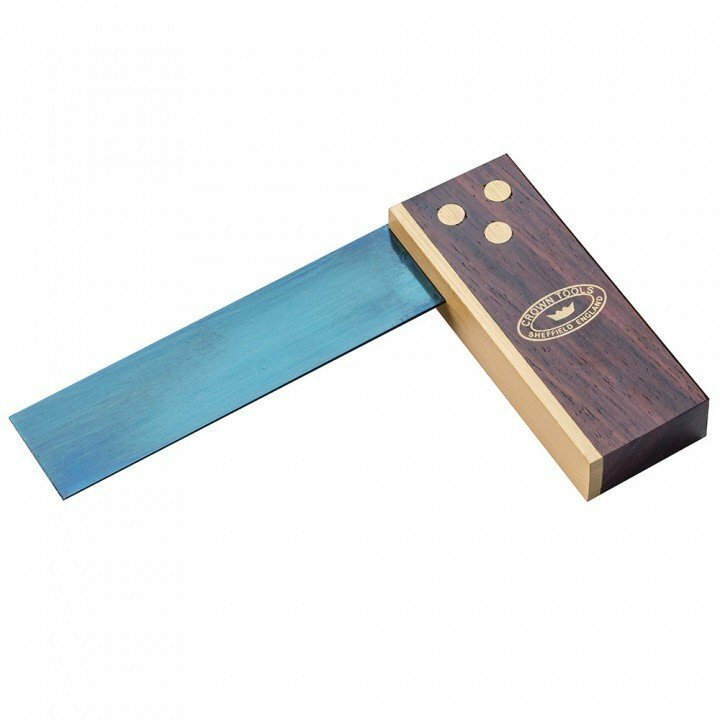 A sliding T bevel, also known as a bevel gauge or false square is an adjustable gauge for setting and transferring angles. The handle is usually made of wood or plastic and is connected to a metal blade with a thumbscrew or wing nut. The blade pivots and can be locked at any angle by loosening or tightening the thumbscrew. 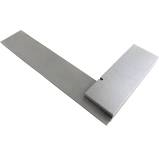 The bevel can be used to duplicate an existing angle, or set to a desired angle by using it with any number of other measuring tools (such as a protractor, or framing square).